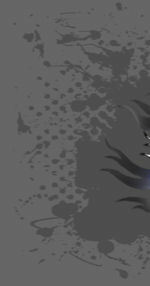 this Saturday at the New Stockton 99 Speedway! 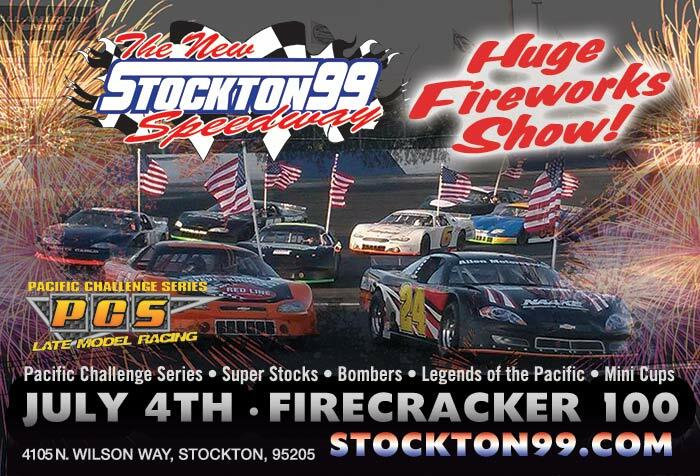 The action packed night of racing will be highlighted by the FIRECRACKER 100 lap Pacific Challenge Series Late Models feature & a firework spectacular to commemorate 4th of July! Also competing during the night will be Super Stocks, Bombers, Legends of the Pacific & Mini Cups! This weekends race should be an amazing race to attend. We are expecting a big strong car count and lots of fast and close racing. As the lights go green, come witness some local drivers compete for the chance to win the annual 4th of July, such as Ross Strimska 88 (Stockton), Matt Scott 35 (Elk Grove), and Michael Hite 70 (Elk Grove) to name a few. Winner of the first Tri-Holiday Series on May 23, 2015 at the Stockton 99 Speedway was Jeremy Doss 75 (Upper Lake). August 22nd at the Stockton 99 Speedway.